Moore is an avid tennis player and golfer. 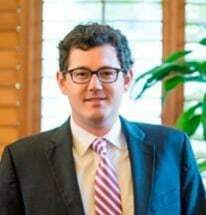 He briefly worked as an assistant golf pro in Raleigh before pursuing a career in the law. He and his wife, Mary Wallace, live in Columbia with their young daughter, DeBerry.